I doodle a lot during meetings (I find it’s easier to listen if my hands have something to do) so I naturally draw Ben & Winslow characters a lot (because they’re super easy to draw). I started wondering what a cyclops would look like in this style, and lo and behold! 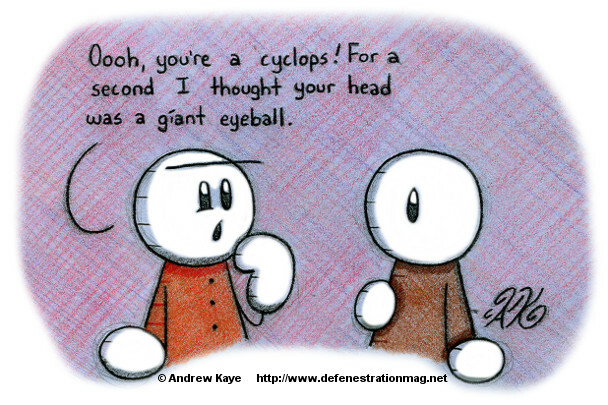 The poor guy just looked like a giant cartoon eyeball! With a torso!